Give your heart to your loved one! Wanting to decorate your office desk with colours? Having a headache preparing a heart-warming gift to surprise your sweetie for the Valentine’s Day and White Day? Flower is a popular choice but it dies soon, which produces huge wastage for the Earth. Long-lasting fresh flower is a much better choice to your loved one and the environment because it lasts for 2-3 years. 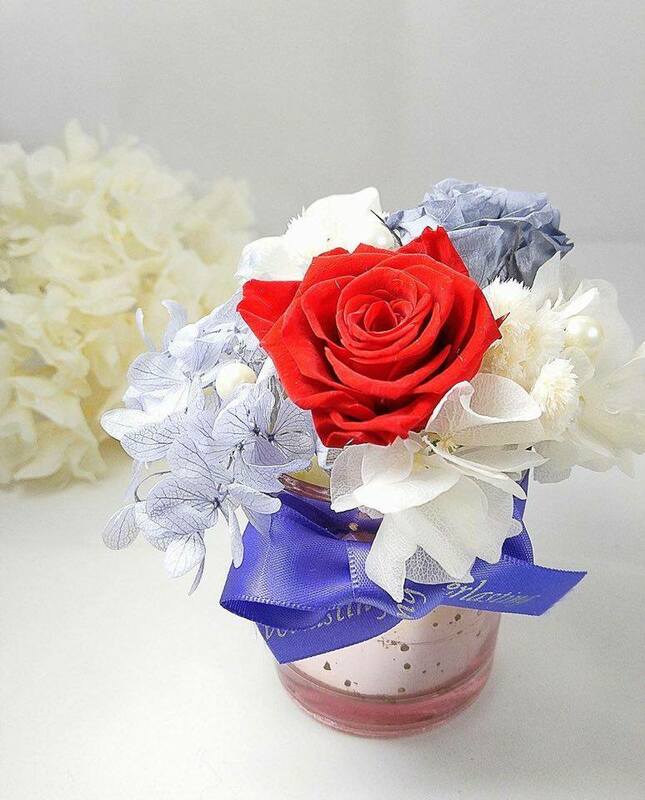 The workshop teaches you how to build a beautiful and attractive pot with long-lasting flowers (13-14 cm) that can decorate your desk or give it to your loved one to express your heart. Ms. Dada Yeung of Everlasting will teach you from the beginning how to unfold a flower, preserve, position, tie up, decor to bind lace and decorate the pot. You can choose either one big or two small flowers with decor florets in the pot. 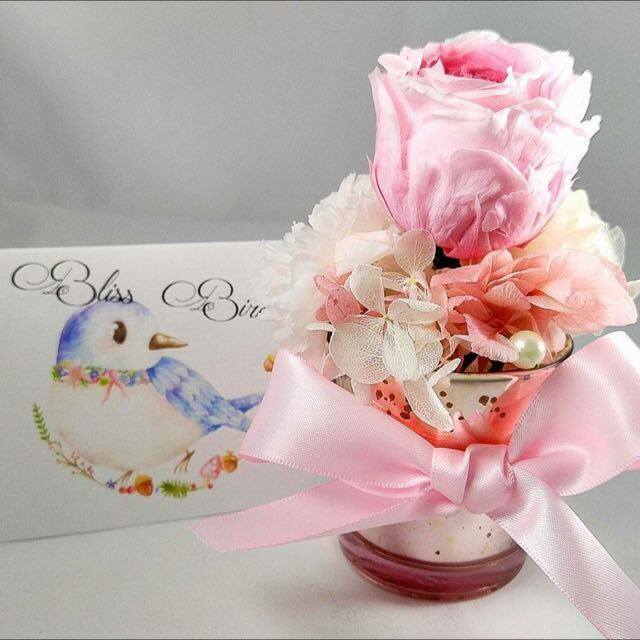 All flowers are imported from Japan and you can pick among rose, orchid (蘭花), hydrangea (繡球花) and gypsophila (滿天星). With just a bit of creativity and love, you could bring to life a masterpiece of imagination in easy steps. Dada will guide you during the workshop. Every HKU alumni and student is welcomed to bring your family and friends to join. *The above pictures are all provided by Everlasting. Enquiries: Please email to greenandculture@hkuaa.org.hk (Attn: Ms. Heyna Wong / Mr. Brian Hui) or call Ms. Heyna Wong, HKUAA Administration, at +852 2522-6113 .